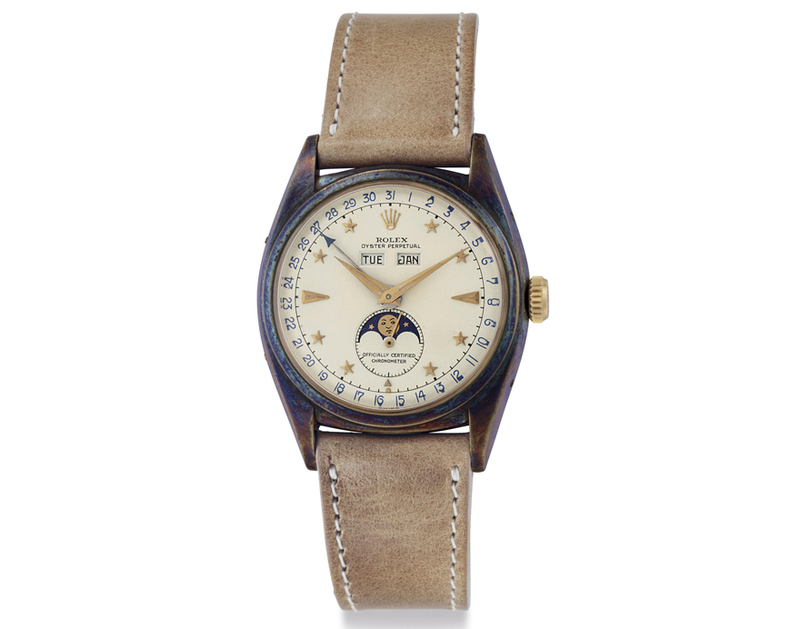 The most important watch sold in New York in December was a Rolex reference 6062 “ Stelline” made in 1952. This example, in nearly “new old stock” condition, bears the most important configuration of the celebrated Oyster moon phase calendar reference: applied star indices and “officially certified chronometer” printed below the moon phase. The completely oxidized case and the wrong orientation of the 7:00 star index notwithstanding, the watch is no doubt one of the best examples of the reference in terms of quality and sold for a price it deserved, at USD$1,572,500. Two other watches that shared the cover spread of the Christie’s catalogue with the Stelline are good examples of models that now make regular, almost frequent, appearances at international auctions: a 1968 14k gold Rolex Daytona with “John Player Special Paul Newman” dial and a yellow gold Patek Philippe ref. 2499 fourth series made in 1982, which sold for $552,500 and $504,500, respectively. The price of the Paul Newman JPS is notable because similar examples sold close to $1million just earlier this year. Has the onslaught of vintage Daytona supply begun to affect prices for this frothy segment of the market? Are there many more new buyers willing to pay current prices? Time will tell. For now, Rolex is still king in the auction room and the Daytona and, to an increasing degree, the Submariner, are still first targets of new collectors. Trends and price cycles come and go. It is crucial for the dedicated collector to be confident in his own taste and focus on buying true quality and rarity regardless of the flows and ebbs of market dictates. Two honest examples of Rolex reference 8171 - the non-waterproof snap back sibling of the 6062 - were sold in December: a yellow gold from1951 by Phillips at $350,000 and a steel with embossed gold colored indices from 1952 by Sotheby’s at $387,000. A very rare pink gold Rolex Datocompax ref. 5036 in so-so condition on the cover of the Sotheby’s catalogue was oddly withdrawn from the sale last minute. A nice yellow gold Patek Philippe “triple complication” pocket watch made in 1911 with enamel dial sold for $225,000 in the same sale. Incidentally, an honest Rolex submariner ref. 6536/1 from 1957 with a basic two-line dial also sold for $225,000. At the same price, which of the two would you rather have as a collector? An early Patek Philippe ref. 3970 with snap back in yellow gold circa 1987 sold for $106,250. 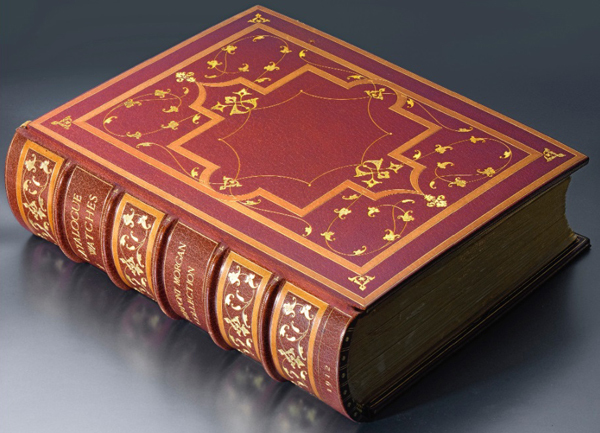 To me, the most fascinating lot in the Sotheby’s sale was not a watch but a book: a very rare copy of the 1912 JP Morgan Catalogue of Watches, selling at $47,500. The book, formerly in the Time Museum, is a work of art and the holy grail of the most serious watch collecting bibliophile. Treasured copies of this important book are found in the permanent collections of the Patek Philippe Museum in Geneva and the Morgan Library and Museum in New York City. Results from the Phillips New York sale were middling, a reflection of the ongoing difficulty in sourcing top watches world wide. The top lot of the sale is a now very popular Rolex Submariner “big crown” ref. 6538 in honest condition, selling at $567,000. However the most interesting watch of the sale is a very rare pink gold ref. 2597 signed by Gobbi Milano made in 1959, a two-hand example from the first series of Patek Philippe’s first travel time reference, an important model with a patented mechanism invented and hand finished by the great Louis Cottier (1894~1966). A lucky buyer snapped up this rare gem at $225,000. The second series of the reference with three hands, produced from 1961 for only two years, are considered more important and aesthetically pleasing, usually commanding large price premiums over earlier two-hand examples. The record for the reference is still held by an extremely rare three-hand pink gold ref. 2597 made in 1961, sold by Christie’s in 2007 for CHF$696,000. Another notable lot is a limited edition Vacheron Constantin chronograph “Cornes de Vache” in steel, one of 36 examples produced for Hodinkee just last year, selling at $93,750, more than double the original retail price. A rare early Rolex oyster chronograph reference 3668, in steel with pink gold bezel and pink dial, in honest condition, sold for $72,500. Early Rolex chronographs are connoisseur’s watches and incredibly cheap compared to later Daytonas in terms of quality, rarity, and aesthetics. Finding great examples, however, remains a daunting challenge.